HT Professional Recorder makes it possible to record conversations throughout a large room, even in situations where the people talking are located several feet away from the phone. Reinforces soft voices - even whispers - Ideal for college lectures, board meetings, and conferences, as well as dictation. Automatically skips silence during recording. Note: Use on iPod Touch 2nd Generation requires external earbud microphone accessory. iPhone will not record during cellular phone calls. 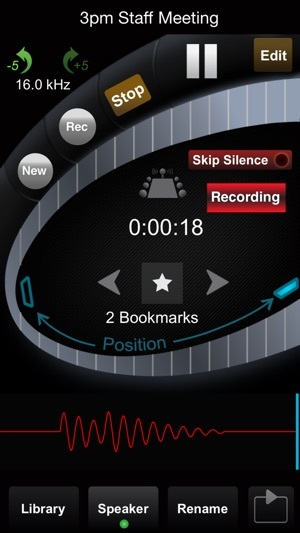 HT Recorder is an voice recorder - it does not perform automatic transcription of dictation to text. 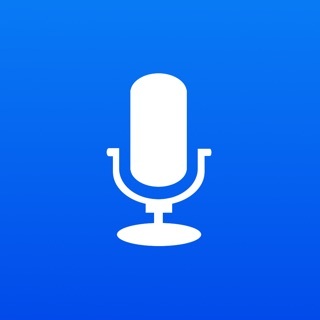 This app has been incredible for getting quality recordings of lectures/meetings and other random recordings. Its ability to pick up and somewhat isolate the speaker's voice is so helpful. I was really getting worried when the developers hadn't updated this app in ages and I was getting a warning from Apple that the app was out-of-date. But the developers came back and did the major update that was needed and got it up to speed with 64-bit. I am so happy this app was not abandoned! Even though the app is not as intuitive as it could be, I'm giving it five starts because it performs like no other recording app I've tried. What I would suggest doing after first opening the app is to click on the Library > Menu > Owner's Manual. Read the manual once through and you'll be in good shape and very happy. I've been using this app for years and I absolutely love it . I am amazed that it does not have more reviews . 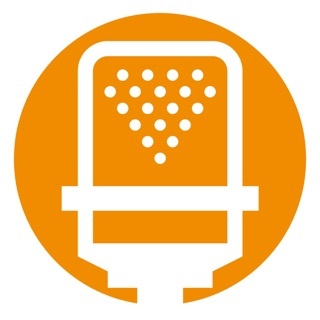 The sound is awesome and it does pick up voices that aren't picked up on other recording apps that I tried on my phone when I could not access my Apple ID to download this app on my new phone. Boy how I missed this app during that time ! Thanks HT Recorder... I'm so glad to have you back on my phone now!!! 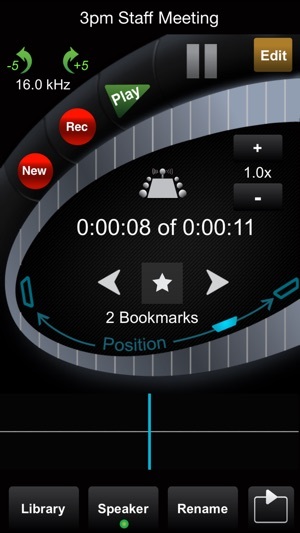 I’ve relied on this app exclusively for business and personal use for the last 5 years and it is still far superior to the other recording apps available in features and ease of use. 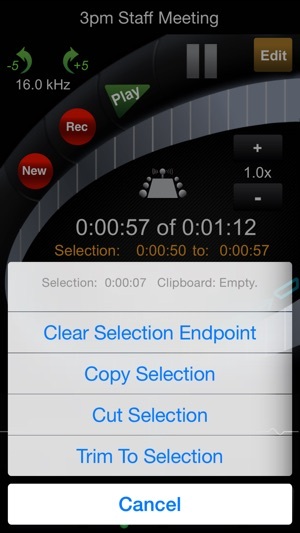 This includes the native iPhone recording app. Many thanks to the developers for the consistent updates and improvements over the years.